The Florida Gulf Coast is taking a wallop today. Storms have brought what is probably much needed rain, but a damper on our boating and offshore fishing. The radar is showing strong bands w tornado alerts going popping up on the TV & phones. 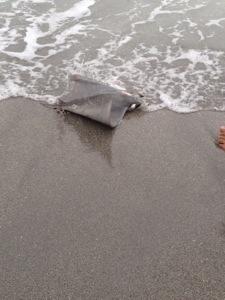 Last nights on shore fishing catch was of all things, a stingray. There were probably 25 or so riding the surf. Never saw anything like it. Thought they were black tip or some kind of shark feeding until it was on the line. Released it safely! Guess a rainy day in Florida beats a snowy day at home.